As Jen prepared her iPod for her trip to Japan and China we got to thinking about music. Just about a year ago today, we were planning out the playlist for Jen's wedding (OMG has it really been a year already?!) and so we figured it would only be right to give you some pointers on your special event entertainment based on first hand experience and research. Part of the fun of planning a wedding or party is deciding on your entertainment, which is, of course, an essential part of any successful event. If you want everyone out on the dance floor you need to be sure to select the appropriate music for your audience (and of course, you'll have to include a few oldies for grandma and grandpa). The biggest factors to consider when selecting your musical entertainment are your budget and your personal style and tastes. Here is a breakdown of the pro and cons of each scenario to help you decide on entertainment for your wedding or other social event. 1. Hiring a small group of musicians like a jazz band or string quartet: Hiring a small group to perform instrumental songs at your wedding or affair can be a beautiful touch that creates an atmosphere of elegance and romance. If your venue is historic, you can consider playing music from that era, such as some great Sinatra or fun Ragtime Jazz. But, keep in mind, classy bands like this come with a really high price tag that averages about $600 for the first hour and $200 each for every additional hour and it will vary depending on where you are from. There are some great options if you can't afford this, though! We suggest asking a friend or two to perform a song, such as your first dance song or for your walk down the aisle. These are some of the most important moments of the night, so it's always a little more personal and romantic to add fun, unexpected touches that are sure to make a huge impact. Plus, a friend might be willing to do this for you for free or in lue of a gift! 2. Of course, you may want to hire a professional band instead to play some of your favorite tunes. A band is certainly more fun, and more costly, than a solo musician or orchestra style entertainers The up side is they play many of the songs that are currently popular, and that your guests are sure to love, and nothing can compare to the energy that comes from having a live band at your event (plus consider the general "coolness" factor!) But also, keep in mind your musical tastes and remember a band might know a lot of current pop songs, but their repertoire is going to be limited. They might know "Livin' on a Prayer", but are they likely to know that obscure Postal Service song you love or that old Elvis song your grandparents used to dance to? Probably not. And, again, bands are very pricey, so if you are planning to budget for a live band in the NYC/New Jersey area you can expect to pay around $5,000 or more. Or, if you aren't down for that price tag, consider scouting out some local talent - there are plenty of young, aspiring musicians out there that would love an opportunity to perform in front of a large crowd for a much more reasonable fee! 3. Hiring a DJ is very popular and for good reason. 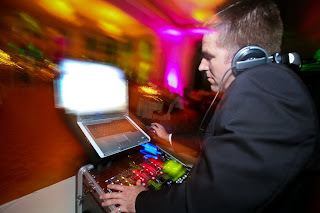 DJ's can provide all of your favorite songs, can have an nearly unlimited selection to accommodate the largest variety of people, and are the most affordable option when compared to a live band or musician. In addition, a DJ doubles as the MC of the evening and helps to control the flow of your event (which is crucial!). Now, the biggest downfall to the DJ is not having full control over your music. Sure, Lady Gaga is super talented and we adore her, but do we really want to hear the whole album? Actually, we do...but our guests might not! And many of us might actually die if we hear [insert any lame late 1980's/ early 1990's line dancing tune]. But, simply providing a "do not play" list (and stressing the importance that you will literally hurl if you hear said songs) can help to ease your mind. The other factor is to make sure to choose a DJ who's voice you can actually stand for multiple hours. Some of the ones we've encountered are cheesier than others, so just be sure to choose one that fits your personality and can control the flow of the event without stealing the show. 4. And, finally, you can always be your own DJ and provide music through your Ipod. This is definitely the most affordable choice, plus you have the luxury of crafting your own playlists and knowing that it won't be messed with! This is a wonderful option for the couple on a budget that has list of off-beat "must have" songs that a DJ is not likely to have in their collection. 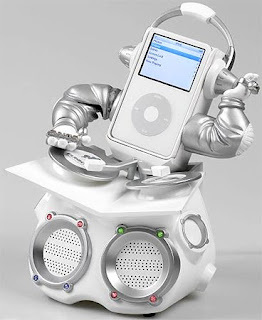 We are huge fans of the Ipod wedding, but we suggest hiring a professional to run the playlist for the night. Sure, you can just ask a friend to help out, but hiring a professional ensures that your guests can relax and have fun and also that your playlists transition properly and your night stays perfectly on schedule. 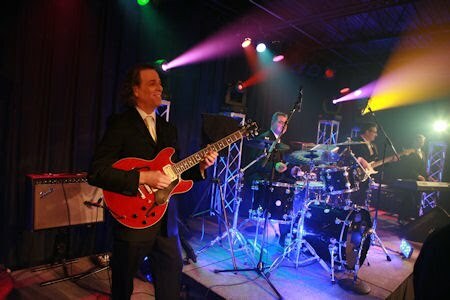 It's a great idea to have some performers during a special event especially weddings. This site provides surfers with essential information and ideas to make a wise wedding entertainment package. Such a beautiful post about wedding entertainment .Beautifully describe the tips on that.Thanks for sharing the post. Thanks for sharing this useful tips dolls.. Keep sharing!!! Great tips. Thanks for sharing . There are so many choices out there that it might be a little overwhelming when we first start our search for the perfect entertainer for wedding. A well written blog related to Wedding planning. Nice tips shared by you. Please keep sharing such blogs with us.